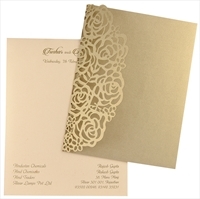 Intricate rose pattern in laser cut on the main card. 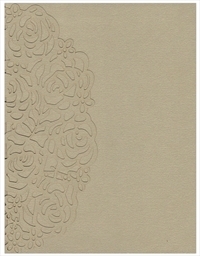 Pasted Inserts have beautiful rose design prints. 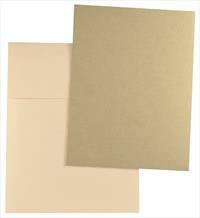 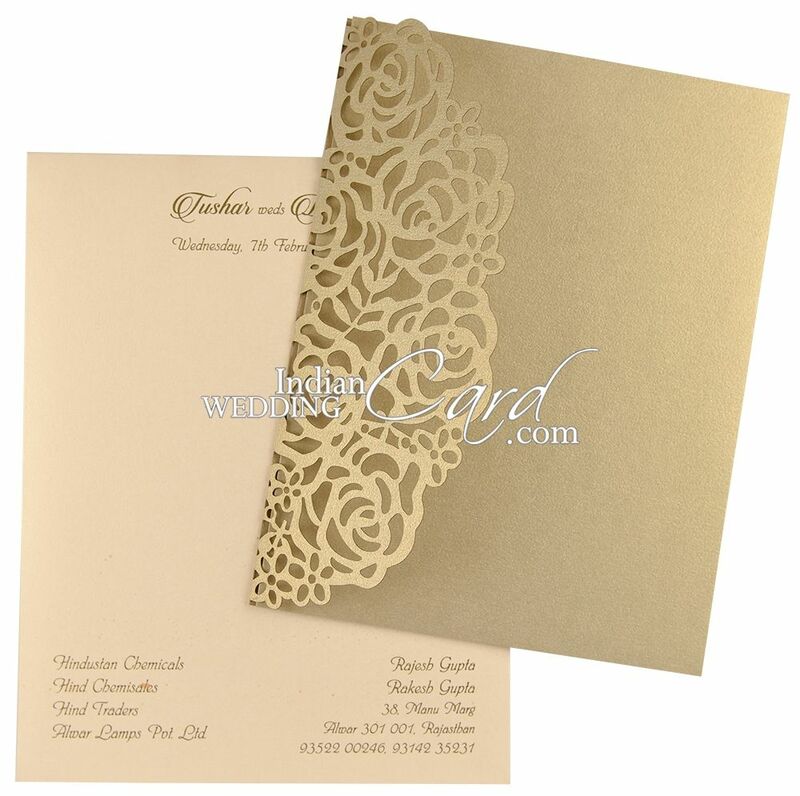 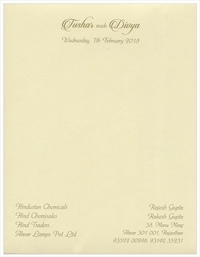 An exceptionally beautiful wedding card!